The detail and artistry in our shimmering Large Butterfly necklace will beautify every outfit and brighten every day! 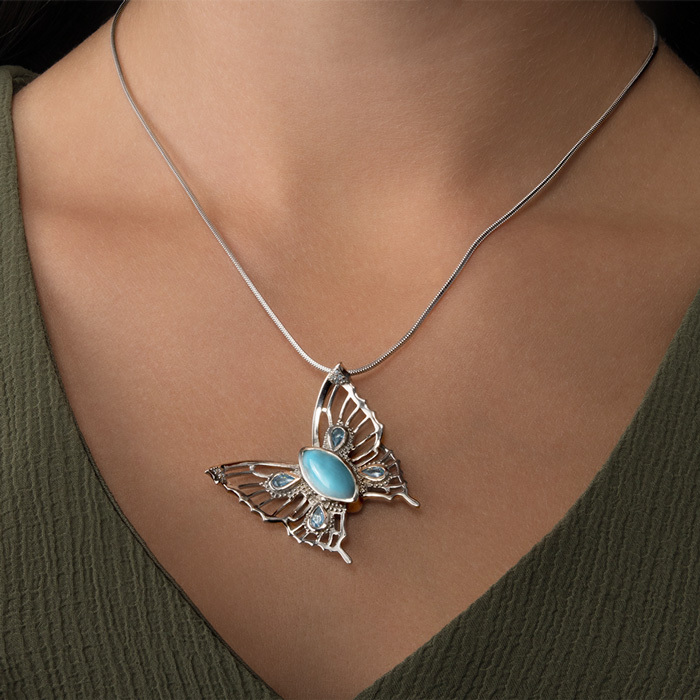 Wings of etched sterling silver and teardrops of blue topaz emerge from a highly polished larimar body of this lovely companion, and ready to take flight when you are! Product Details: 7x14mm larimar gemstone with blue topaz and white rhodium plated sterling silver. Comes with an adjustable 21” sterling silver chain with an easy, sliding mechanism and lobster clasp that you can set to the perfect length for your look!